Long gone are the days of needing to spend the thick end of $1000 to get an unlocked phone worth having. With good budget smartphones for under $200, and some truly impressive mid-range versions for under $500, a phone really has to be something special to justify spending that kind of cash these days. When you’re paying this much for a high-end smartphone, it needs to be truly excellent, with a minimum of compromises. The screen has to be bright and responsive, the phone has to be powerful and fast no matter what you throw at it, and the camera has to be top of the line. It needs to be durable and reliable, with good battery life and plenty of the extra features you don’t find on cheaper devices. For the purposes of this roundup, a “high-end smartphone” is one that costs over $500 USD, off-contract and unlocked for use with local SIM cards around the world. I’ve deliberately left out Windows phones, simply because app support is still very limited compared to iOS and Android. To make the cut, a phone had to come with at least 32GB of storage, ideally with a way to add more via a microSD slot or at time of purchase. Storage is vital for travellers, who tend to use their device for entertainment and taking photos and video. Anything under 32GB isn’t acceptable in a flagship phone. If you’ve got the cash to spare, these are the three best high-end smartphone options for travellers right now. You can’t talk about premium smartphones without mentioning an Apple product. Ever since the first iPhone arrived on the scene in 2007, they’ve largely defined great design, ease of use and top of the range features. They’ve also defined just how much money people are prepared to pay for an unlocked smartphone, always being at or near the most expensive choice on the market. There’s plenty to like about both the iPhone 6 and its larger sibling, the 6+. They both come with excellent cameras, although the image stabilisation in the 6+ makes for sharper photos in low light. You’ll also get significantly better battery life out of the larger model — much of that extra space is used for a higher-capacity battery. On the downside it’s noticeably heavier, you’ll pay an extra hundred dollars, and the larger size is far from ideal for those with small hands or small pockets. There’s nothing discreet about a phone this size, which is something to bear in mind if you’re flashing it around in certain parts of the world. The battery life and camera on the 6+ make it our pick, but if you’d rather have a smaller, somewhat-cheaper phone, you won’t be disappointed with the iPhone 6 instead. A bit large for many travellers. If this is you, choose the iPhone 6 instead. No impact, weather or water resistance. Samsung’s flagship Galaxy S6 has been getting praise from reviewers ever since it came out, with many calling it the best smartphone you can buy in 2015. While we’d prefer the S6 Active for its impact and water resistence and better battery, Samsung has decided to make it annoyingly difficult to buy. The phone is currently an “AT&T Exclusive”, which makes it hard to get unlocked and off-contract in the US, and almost impossible anywhere else in the world. Until that situation changes, we recommend the Galaxy S6 instead. The standard model is thin and light, with a glorious screen, one of the best smartphone cameras around, and performance that blows most other smartphones out of the water. It includes wireless charging, which isn’t that interesting for travellers, and fast charging (50% in half an hour), which definitely is. Lack of a removable battery or SD card are a disappointment, especially compared to previous models in the Galaxy S range — but it’s sadly becoming the norm, even in high-end phones. Pricing is reasonable, at around $599 online for the unlocked 32GB model. No impact, weather or water resistance. Make the Active version available to all, damnit! South Korean manufacturer LG has been quietly churning out some very good phones over the years, and the G4 is arguably the best of the lot. It’s a well-performing, attractive smartphone, with a truly exceptional camera. For those serious about photography, being able to take shots in RAW format could well be a reason to buy this phone by itself. Despite the same large screen, it’s a noticeably smaller, lighter device than the iPhone 6+ and other phones with 5.5″ displays. The rear button also helps with usability — it’s much easier to find and use than side or top-mounted buttons. The body is brushed plastic, rather than metal — this helps keeps the price down versus the competition, at the expense of a truly premium look and feel. For a little extra, you can get a leather-backed version instead. With a sharp, bright high-res screen, removable battery and SD card slot, and very sharp pricing for a flagship device, there’s a lot to like about the G4. You’ll only pay a touch over $500 for an unlocked 32GB version — and you might even find it a little cheaper at times. For travellers in particular, when you can find very good phones for under $500, it’s getting harder to justify spending hundreds more on a device that isn’t that much better. With the risk of theft and breakage higher than in day-to-day life, the cost/benefit equation looks quite different if you’ll be on the road for a while. That said, if you’ve got the money to spend and want the best phone out there, what should you go for? If you’re already part of the Apple ecosystem, you’ve probably already made your decision: get the latest iPhone. Despite the eye-watering price, the 6+ is the model to go for if you don’t mind its size, due to the exceptional battery life and better camera. If you don’t mind whether you use iOS or Android, though, it’s a tougher decision. With the best option (Galaxy S6 Active) hard or impossible to buy unlocked and off-contract, it’s a very close battle between the standard S6 and the LG G4. They both have extremely good cameras, good performance, quality screens and fast charging, and aren’t that far apart when it comes to price either. In reality, you’ll probably be happy with either. If you’re very serious about your photography, go for the LG. If I had $600 to spend on a phone right now, though, I’d (just) pick the Samsung. It’s faster, looks and feels better, has a few extra useful features including fast charging built right in, and the 5.1″ screen size feels a better size for using one-handed and fitting into small pockets. Overall, it’s the best high-end smartphone available right now, and takes our top spot. Note: This list only includes devices easily available for purchase in the US and Europe. So those are our high-end smartphone picks in mid-2015. Do you think we left something out? Sound off in the comments! Main image via Sjoerd Lammers, other images via manufacturers. Travel Tech News, March 2016: New Phones Everywhere! What about the OnePlus One, or the soon to be released next version? These are all great phones. 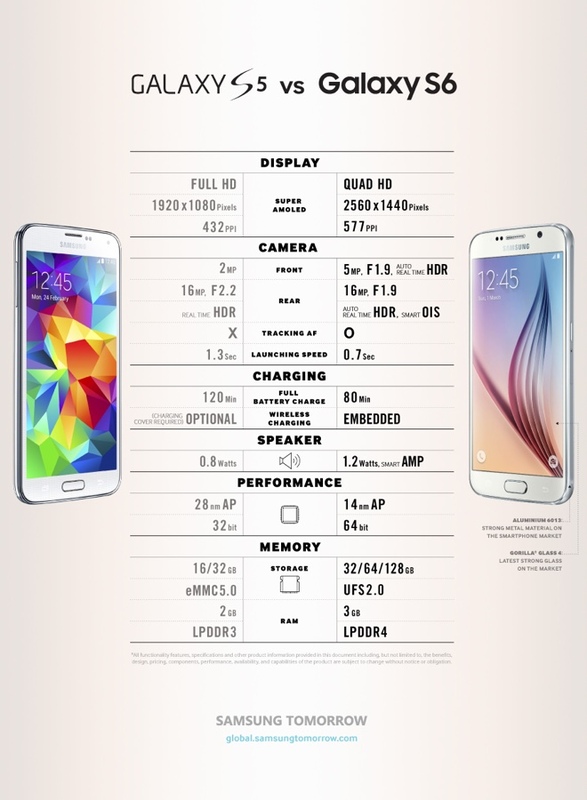 How would you compare the Galaxy S5 to the Galaxy S6 you suggested in your post? It’s tricky, to be honest. The S6 is a better phone in terms of specifications, especially the cameras (there’s a good infographic with the spec differences here), but the S5 is still a good phone, especially if you can pick it up unlocked at a substantial discount. The older model also had features that the S6 doesn’t. As well as having a removable battery and SD card to add storage whenever you like (and keep the initial cost down), it’s also water resistant. As long as you keep the rubber stopper plugged in at the bottom, you can drop your phone in the toilet or get caught in the rain and it won’t get damaged. 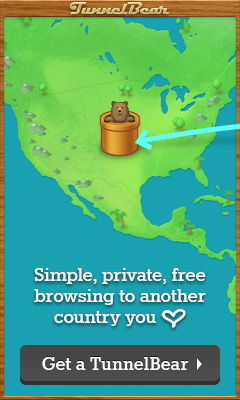 That’s a great thing for travellers. So, my advice would probably be if you want the best specs and/or are really into your smartphone photography, get the S6. Otherwise — and especially if you can get a good discount — I’d probably go for the S5 myself. Thank you, Dave! I appreciate your help. You really know what you’re talking about. This fall I will be traveling to Romania and I will be taking my unlocked AT&T Galaxy Note 4 with me. In Romania they use the following frequencies: 900 and 1800 MHz for 2G, 900 and 2100 MHz for 3G and 1800 MHz for 4G LTE. My Note 4 has all these frequencies available except for the 900 MHz 3G frequency. Considering this, as well as the fact that 4G LTE covers only a limited part of Romania, how well should I expect my Note 4 to serve me over there when it comes to both voice and data service? You’ll have no problem with voice, and likely little problem with 2G and 3G either. LTE, as you say, seems limited to half the country or less, depending on provider. You may get spottier data coverage due to the lack of 900Mhz support, but without knowing exactly how the various operators have deployed their network, it’s hard to be more precise than that. Nice article but i really expected to discover an underground phone could be perfect for us :p.
Apple / Samsung, it’s just classic each year the next version lol. Just take a look to the blackberry Passeport, this is the best for me. – Square…. ok it’s weird but very confortable with maps, excel, word, pdf, etc..
As a nomade digital i really think he can be easily on this list ^^. The most interesting phones these days aren’t at the high end of the price range – check out the articles on budget and especially midrange smartphones elsewhere on the site. Plenty going on there! My new phone in Asia this year is a used, unlocked LGV20, which I bought on Ebay for $165. Has removable battery for which I added a 10000 Mah Zerolemon battery that comes with its own rear case. This thing will last at least 2 1/2 days of continual heavy use-never shutting down. This makes it perfect for 2/3 day economy flights with long layovers I can also use the OEM battery (with a spare in my pocket) if I want feather light. The phone has a HiFi DAC processor which combined with a $10 Monoprice earbuds has arguably the best sound in a smartphone. You can add audiophile cans for something truly remarkable. The phone has a great camera with full manual controls, ability to shoot RAW, a dual lens setup that can switch to wide angle from normal while shooting video-making an edited in camera look possible. You can record HD audio – concerts anyone? You can customize the perspective of on-board mic for narration, interviews, or background. It has a headphone jack-what!, to which I can add a clip-on lapel mic for street videos or interviews-yes thing can vlog. So far, so good. No issues so far. I was a bit nervous to buy this . This phone is fun and a 2 year old flagship for $165. Just sayin.